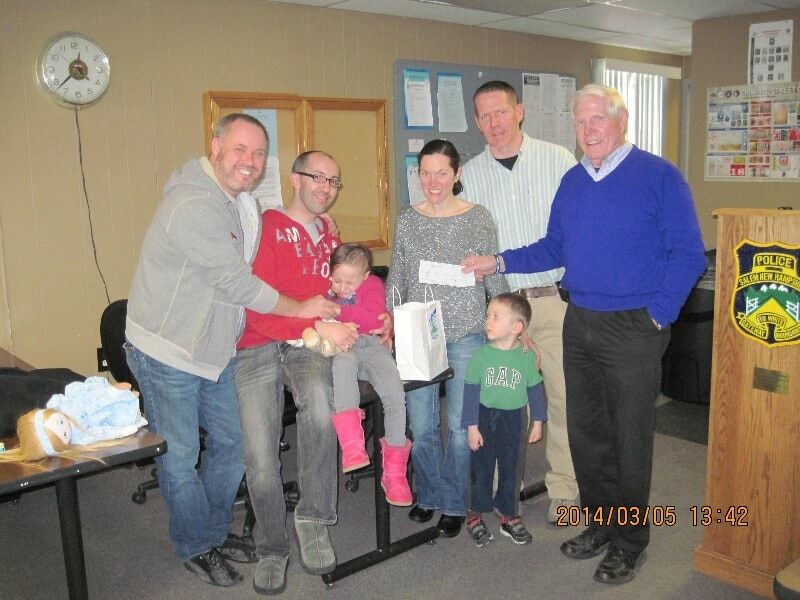 On Wednesday, March 5, 2014, Cops For Kids With Cancer went to the Salem NH Police Department and made a $5,000.00 donation to the family of Ava Frankland, a 5 year old girl from Salem, NH who has a brain tumor. In photo left to right the two fathers, Jeffrey Frankland and Michael Doiron, Ava, Det. Sgt. Tom Kench and his wife Maria. Both are running the Boston Marathon for Cops For Kids With Cancer, their son Jacob, and Bob Faherty.